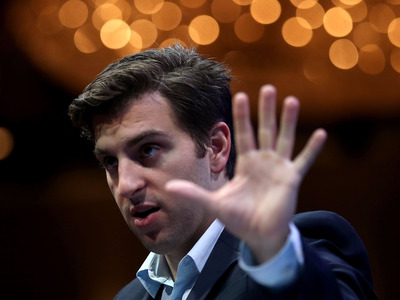 It’s fight, flight, or comply for Airbnb in San Francisco, and the company refuses to say which avenue it will pursue. On Tuesday, San Francisco’s Board of Supervisors voted 10-0 to pass tougher legislation that would make short-term rental companies responsible for enforcing some of the cities rental laws. As it stands, Airbnb hosts in San Francisco are required to be registered with the city. Now, the new legislation requires that Airbnb only list properties on its website that are in compliance and have a registration number. If it fails to do so, the city will fine Airbnb and home-sharing companies like it up to $1,000 daily for every day that a company maintains listings on its site that aren’t registered properly. The company told Business Insider that it questions the whole registration system and how complex it is to have a licence in the first place, implying that this process was making it too difficult for people using Airbnb for necessary income. “An estimated 1,200 San Franciscans avoided foreclosure or eviction by hosting on Airbnb, and this legally-questionable proposal puts their housing at risk without offering any real solutions to fix the complex process. The Board acknowledged that the registration system is broken and, in order to help people to be able to stay in their homes, The City needs to fix it,” an Airbnb spokeswoman told Business Insider. Airbnb didn’t respond to questions about whether it would comply with the new rules though the company is on the record opposing the tougher legislation on a legal basis, claiming that it violates the federal law protecting internet freedom. However, the Attorney’s Office argued that it was regulating business practices, not online content, according to the San Francisco Examiner, and Supervisor David Campos, who put forth the legislation, likened it to a rental car company requiring a driver’s licence to operate. The Board of Supervisor’s 10-0 vote means it will not go to the Mayor’s desk for a veto but instead be put into law 30 days from now. If Airbnb opts to fight, it could take a page from Uber and Lyft and pull out of a city that doesn’t offer it favourable regulations, or it could end up paying a daily fine to continue operating as is. “We hope the Board will act to fix this broken registration system, and we are considering all options to stand up for our community and keep fighting for real reform,” an Airbnb spokeswoman said.